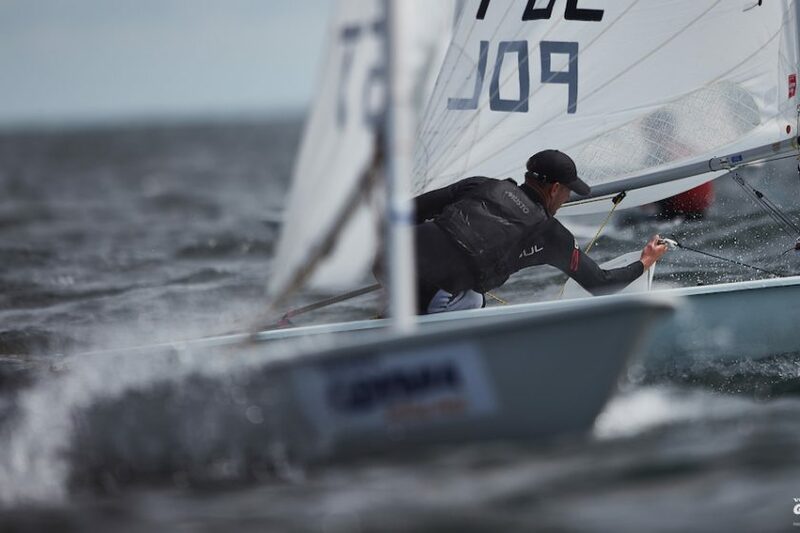 Over 200 Laser sailors from 46 countries passed through equipment inspection and are making final preparations to start their competition for the 2018 Laser Under-21 World Championships. In the Radial fleet, Polish sailor Magdalena Kwasna finished third in 2017 and should be a contender for another podium finish. Last year’s fourth place finisher, Louise Cervera of France is also returning and will be looking to sail in front of the fleet. Annabel Rennie-Younger (New Zealand) did not participate in 2017 but was expressing confidence in her abilities. 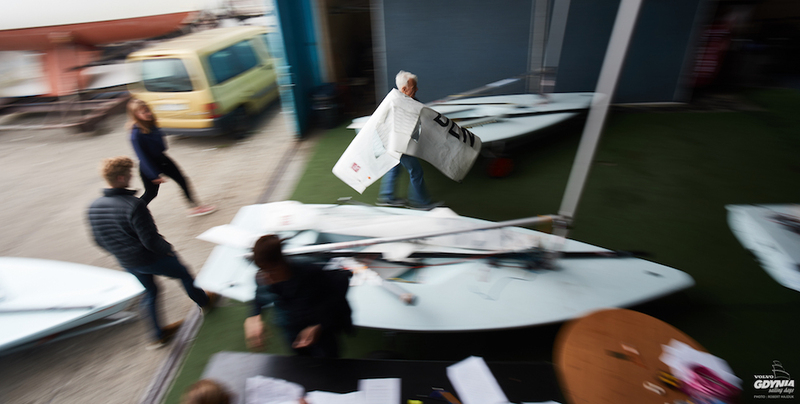 Some of the younger and smaller sailors are hoping for lighter conditions where they won’t be quite so overpowered, while stronger and more experienced sailors are looking for bigger breezes. But the Spanish team suggested they are strong in all weather conditions! There is plenty of optimism to go around before the start of racing. In the Standard fleet, Jonatan Vadnai of Hungary won the Under-21 World Championship in 2016, and finished 2nd on a tie-breaker in 2017 so he might seem to be the sailor to beat coming in. But he downplayed his being a prohibitive favorite. “It is a strong fleet. And there are a number of competitors who will be seriously challenging for the title.” Daniel Whitely from the UK is likely to be one of those sailors, finishing 3rd last year. 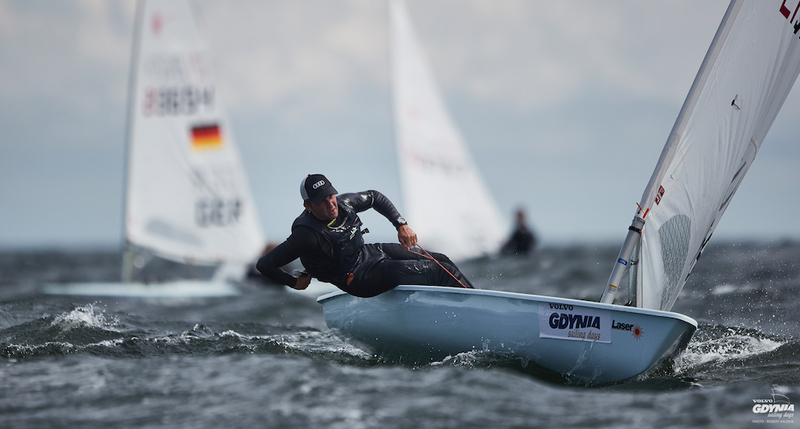 German sailors Max Wilken and Philip Loewe both finished in the top ten in 2017 and could be serious contenders as well. Henry Marshall (USA) won a Radial Youth World Championship in 2016 and followed that with a 10th place finish last year in the larger Standard rig at the Under-21 Worlds, so he is familiar with what it takes for a victory. Each day will bring us a little closer to finding out who the World Champions will be.